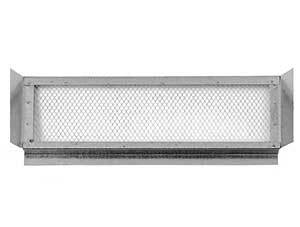 PRODUCT: 22.25" x 3.50" EAVE VENT WITH INSIDE NAILING FLANGE. 26 GA. GALV. PRICE/EACH. * Designed to be mounted in-between standard 24" spaced 2x4 rafters / trusses. * Designed for insertion and nailing from the inside, generally during new construction. * Approx. 55 sq.in. net free air. 22.25 in. x 5.50 in. 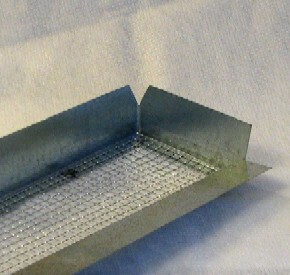 EAVE / SOFFIT VENT W/ INSIDE NAILING FLANGE (for inside insertion and nailing). 26 GA. GALV. PRICE/EACH.